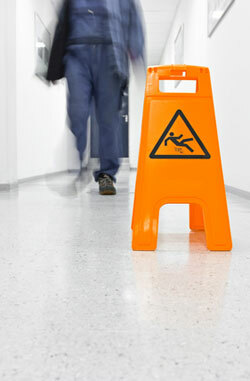 Premises Liability - The Gerardo Cantu Law Firm, P.C. Need Compensation for a Premises Accident? Premises liability is the term used for cases involving accidents on property owned by other individuals, businesses or government entities. The law states that, if an accident is caused by the negligence of the property owner, the victim can seek compensation for lost wages, pain and suffering, the cost of medical care and more. With more than 12 years of experience on my side, I can help. You pay nothing unless we win your case. At the personal injury law firm of The Gerardo Cantu Law Firm, P.C. in Houston, Texas, we handle all premises liability cases on a contingency basis. Premises liability cases can result from accidents that happen almost anywhere: apartments, buildings, condominiums, grocery stores, public sidewalks, malls and more. The key to having a case is that there is some sort of dangerous condition that the property owner was aware of, but failed to address adequately. That dangerous condition could be a lack of security to protect visitors from criminal activity, such as assault. It could also be something as simple as an uneven floor that has a history of causing accidents. We are not afraid of taking property owners – from apartment complex owners to gas station owners – to court in order to hold them accountable. Contact us for a free consultation: Call us or send us an e-mail. Get in touch with us today to discuss your premises liability case with an experienced attorney.